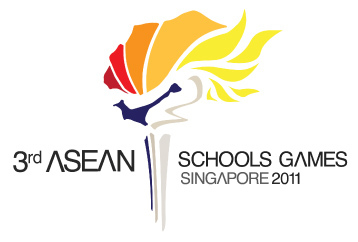 The 3rd edition of ASEAN Schools Games (ASG) officially opened on June 30 in Singapore. 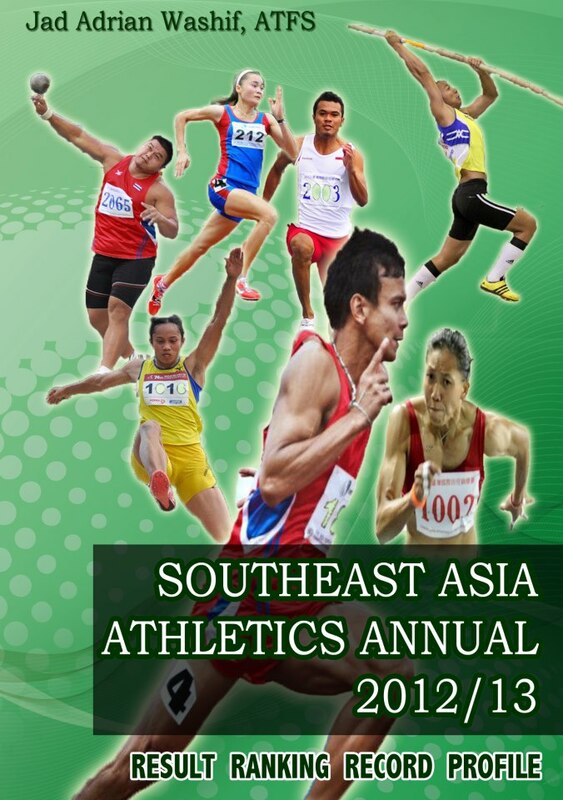 A total of 1100 athletes (under 18-years) from seven countries (Cambodia, Indonesia, Singapore, Thailand, Philippines, Malaysia, Vietnam) are taking part in 12 sports which is scheduled for eight days. 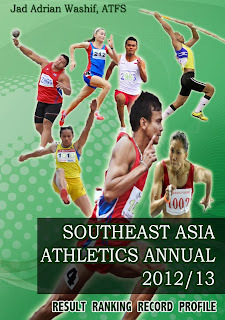 Athletics events begin today (Saturday July 02) until Monday at Choa Chu Kang Stadium. 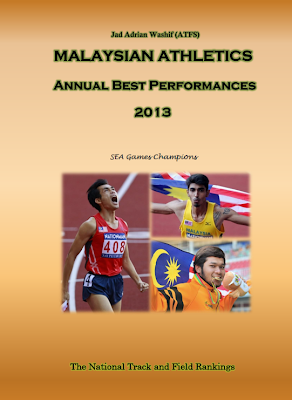 Pole Vault Boys: 1, Lim Zi Qing Sean, SIN, 4.60m. 2, Mohd Faizul Bin Lazim, MAS, 4.55m. 3, Kontawat Thanthiraphap, THA, 4.50m. High Jump Girls: 1, Kotchakorn Khamrueangsri, THA, 1.69m. 2, Nguyen Thi Quynh, VIE, 1.66m. 3, Puteri Nur Liyana Binti Megat Abd Hajat, MAS, 1.66m. Long Jump Girls: 1, Nor Shahidatun Nadia Binti Mohamad Zuki, MAS, 5.99m. 2, Dang Thi Thu Suong, VIE, 5.63m. 3, Nguyen Thi Hong Phuing, VIE, 5.59m. Discus Throw Boys: 1, Wong Kai Yuen, SIN, 50.06m. 2, Muhammad Irfan Bin Shamsuddin, MAS, 46.49m. 3, Galih Yoga Widya Utama, INA, 43.21m. Shot Put Girls: 1, Sawitri Thongchao, THA, 13.81m. 2, Jenny Arista, INA, 11.24m. 3, Bibi Nuraishah Binti Ishak, MAS, 10.86m. 1500 metres Boys: 1, Ngo Dang Thanh, VIE, 04:02.36s. 2, Sornram Bangbunnak, THA, 04:03.28s. 3, Endro Kusworo, INA, 04:04.23s. 1500 metres Girls: 1, Nguyen Thi Bich Tram, VIE, 04:46.34s. 2, Nguyen Thi Hai, VIE, 04:49.68s. 3, Ranjitha D/O Raja, SIN, 04:52.12s. 3000m Walk Girls: 1, Elena Goh Ling Yin, MAS, 14:34.75s. 2, Hoang Thi Trinh, VIE, 15:03.87s. 3, Nguyen Thi My Chi, VIE, 22:17.75s. 100 metres Boys: 1, Sebastian Lee Azcona, MAS, 10.97s. 2, Chan Zhiyuan Donovan, SIN, 11.11s. 3, Tan Zong Yang, SIN, 11.16s. 100 metres Girls: Nittaya Chasuree, THA, 12.18s. 2, Zaidatul Husna Bt Zulkifli, MAS, 12.32s. 3, Shanti Veronica Pereira, MAS, 12.51s. 400 metres Boys: 1, Mohd Arif Zulhilmi Bin Alet, MAS, 48.67s. 2, Revin a/l Ramuh, MAS, 49.61s. 3, Muncherji Zubin Percy, SIN, 49.89s. 400 metres Girls: Nguyen Thi Huyen, VIE, 56.24s. 2, Kanjana Boonrung, THA, 57.56s. 3, Hdin Nie, VIE, 58.32s.